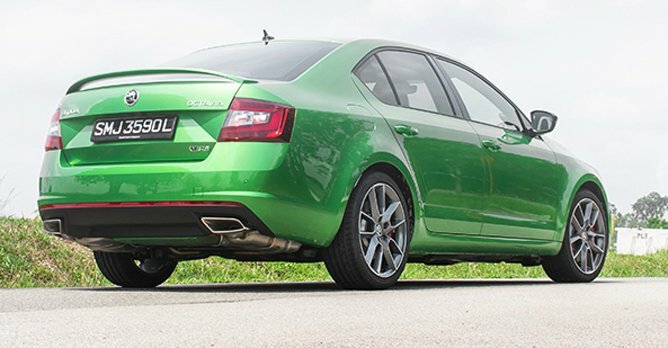 The Skoda Octavia RS 245's mix of performance, practicality and affordability mean that you can now enjoy an all-rounded sports sedan without burning a hole in your pocket. 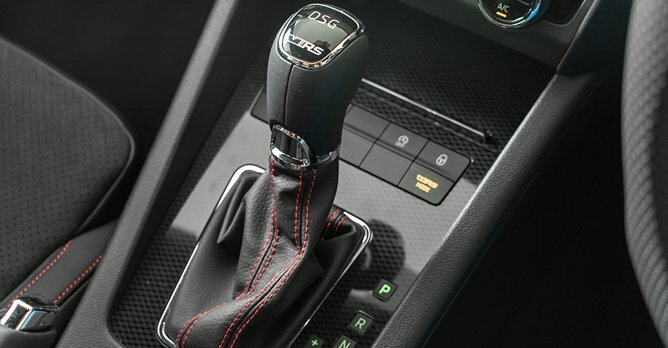 RS-badged performance cars typically cost more than the average Singaporean can afford - think the Audi RS3, RS4 and RS5, the Ford Focus RS, the Porsche 911 GT2 RS and GT3 RS, and the Renault Megane RS. But when Skoda returned to Singapore last year, under the stewardship of parent group Volkswagen, it brought with it an RS that even I could dream of owning. At just $134,900 (as of 9 April 2019), it isn't much more expensive than the turbocharged Honda Civic. 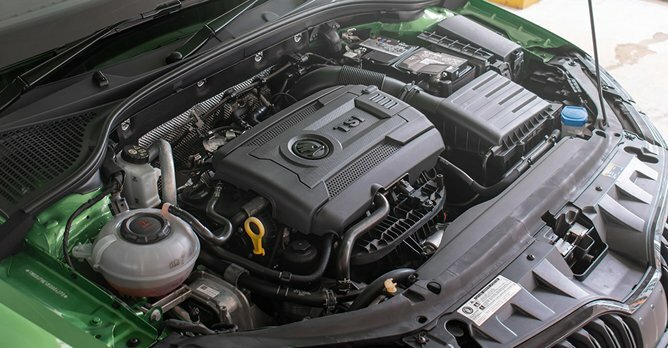 Yet, for something that sits within that price bracket, it offers performance that rivals the fabled Volkswagen Golf GTI and it's called the Octavia RS 245. It actually has more power than a GTI! While the GTI we get has to make do with 227bhp and 350Nm of torque, the RS 245, which uses the powerplant of the GTI Performance Edition 1 (not available in Singapore), produces 241bhp and 370Nm of torque. 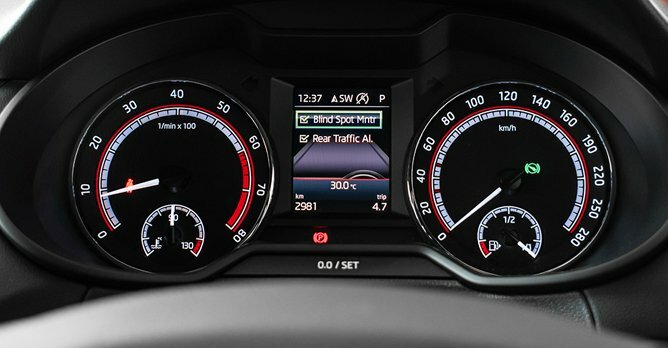 It also employs the Performance Edition 1's seven-speed DSG transmission and electronically-controlled limited-slip differential, as opposed to torque vectoring by braking on the standard GTI. 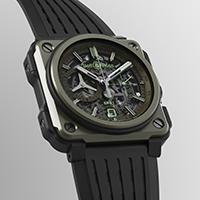 But because the RS 245 is bigger and heavier, the 0-100km/h times of both cars are equalled at 6.4 seconds. The RS 245's heavier weight and larger proportions also mean that it has a slight agility disadvantage against its Volkswagen cousin. Still, it's a negligible difference for most drivers who will be considering one. Put it through its paces and you'll find that it's light on its feet and body control is excellent. Through the tight corners of Neo Tiew Road, I had no problems sticking to the tail of an Alfa Romeo Giulia Quadrifoglio, much to the annoyance of my colleague who was piloting the Italian super sedan. Much of that is credited to the RS 245's limited-slip differential, which meant that I could accelerate harder upon corner exit without the fear of understeering into the barriers. It works by sending an increased amount of power to the outer front wheel when needed, thus allowing you to put power down quicker and rely less on the tyres. However, don't mistake this for a foolproof system, because understeer is still very much possible if you drive stupidly. And while its steering doesn't offer feel in abundance, there's just enough for you to know when the tyres start approaching the limits of their grip. Through the series of Neo Tiew bends, the RS 245 never broke its composure and handled itself neatly enough, thoroughly deserving of its positioning as a proper sports sedan. And of course, the RS 245 also has the necessary dress-up bits to separate it from the regular Octavia. Aside from subtle badging, it wears a set of more aggressive bumpers, black-painted wing mirror caps, larger 18-inch wheels and a little boot lip spoiler. Thanks to the standard sport suspension, it also sits 15mm lower than its less racy stablemates. 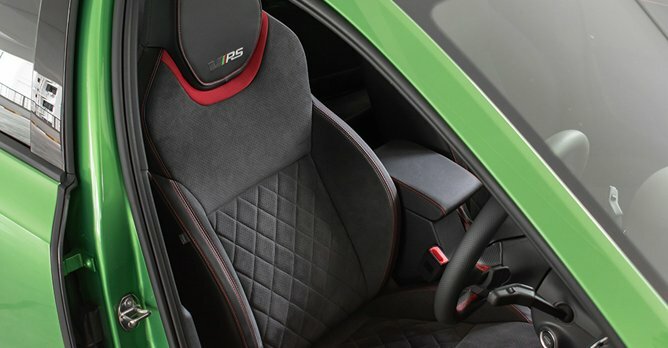 Inside, the differences are just as clear, with its Alcantara sports seats, a generous amount of red stitching all around, faux carbon fibre panels, a flat-bottomed steering wheel and aluminium foot pedals shared with the GTI. It also comes with useful features such as blind spot detection, a rear-view camera, rear traffic alert and a wireless charging box for your smartphone. But perhaps, the second most important selling point of the RS 245, apart from its obvious performance credentials, is its versatility. Like the standard Octavia, room for passengers is abundant and boot space in standard seating configuration is a charitable 590 litres. 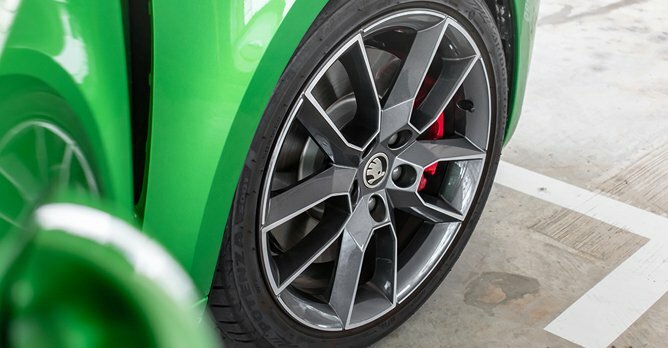 It's no wonder, then, that Skoda Singapore is easily selling every RS 245 it manages to get its hands on. The hotted-up version of the Octavia provides both driving fun and family practicality in spades, without the costliness associated with performance models. Even as a diehard fan of the GTI and an ex-owner of one, I do see myself buying one of these in time to come.